This chrome Fob Watch is the ideal gift for any occasion. 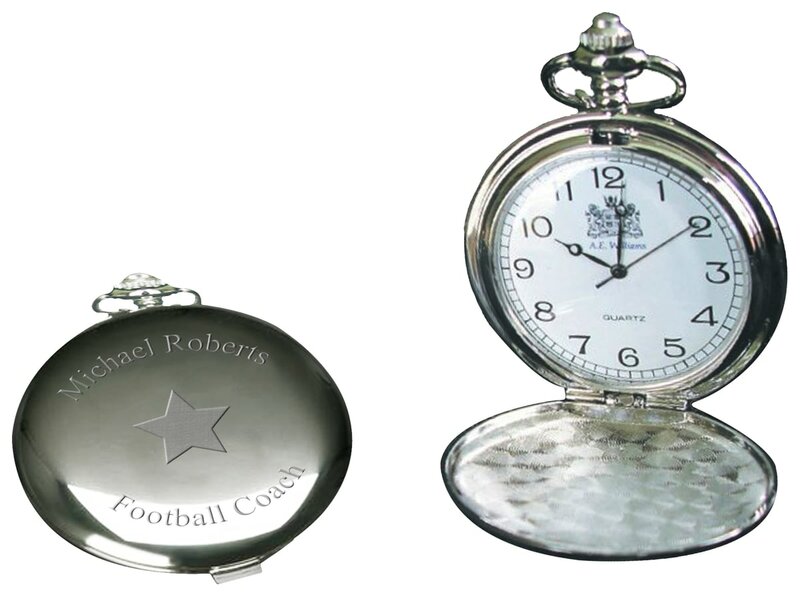 Add your personalisation to this classic design. This chrome fob watch is engraved with any initials. Let them know that your love for him is timeless. This chrome fob watch is engraved with any name. Let them know that of all the walks you have taken this one will be your favourite, just before you walk down the aisle.